Curtiss-Wright’s digital governor control system combines the proven capabilities of digital controllers with the rugged resign of electro-mechanical actuators to address critical concern surrounding the existing hydraulic speed control system. In an agreement with Engine Systems, Incorporated (ESI), the new Curtiss-Wright digital governor system introduces state-of-the-art technology that eliminates the issues of hydraulic control and component obsolescence. 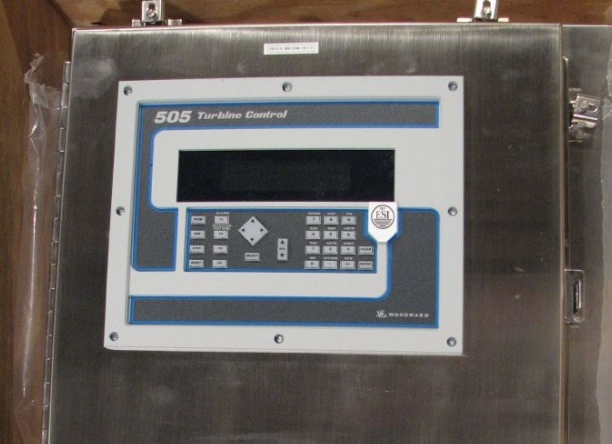 The updated system offers a nuclear-qualified Woodward 505 digital controller supplied by ESI; an electro-mechanical, direct coupled actuator; a digital servo drive (supplied by Paragon Energy Systems); and speed probes. Turbine speed is monitored by a magnetic speed pick-up, which in turn provides a signal to the 505 digital controller. The digital controller provides a 4-20 mA demand signal to the servo drive which controls the electro-mechanical actuator. The actuator is mounted directly to the governor valve stem and includes a built-in internal resolver that provides position feedback to the controller. Curtiss-Wright’s digital solution eliminated the current EGM, EGR, the remote servo and hydraulic subsystem, the mechanical linkage between the servo and the valve stem, the ramp generator signal converter (RGSC), and the voltage dropping resistors. It offers a power supply of 125 VDC, steady-state power consumption of 1 AMP or less, and can be operated in both mild and hard environmental conditions. For more information about the Electronic Governor System, click here.